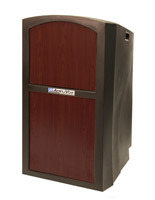 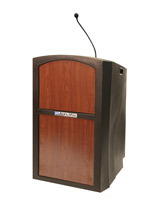 The rolling weatherproof podium gives you the heavy duty quality you need for presentations indoors or outdoors while offering easy maneuverability with 2 built-in casters. 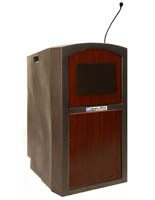 Each lectern includes a flat top reading shelf with a soft cushion wrist rest that acts as a paper stop, as well as a secure barrier for your laptop or projector. 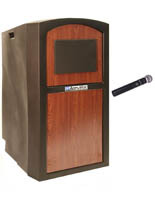 To add to the portability factor, the rolling podium is also equipped with two heavy duty built in handles which allow you an easy means to lift and carry the unit if necessary. 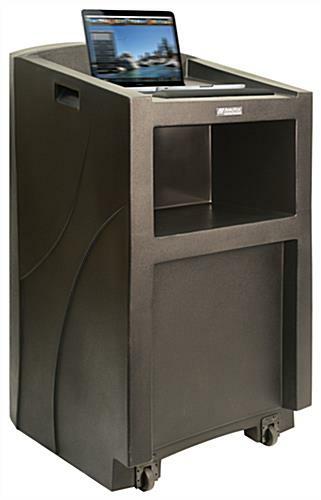 Below the flat top shelf is a convenient 11”h x 19”w storage shelf, ideal for stowing additional notes, supplies or materials. 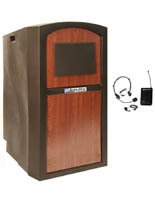 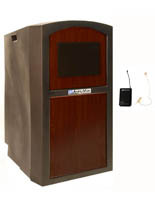 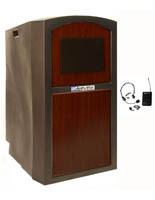 The podium also includes a compartment for a clock and timer to help keep the presenter on track. 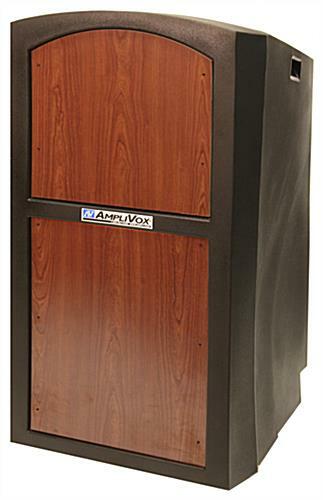 So if high quality, durability and sophistication is what you are seeking out of your next lectern then this is the product for you!